Hospital infection rates are on the rise with 1 in 20 Americans already being admitted to the hospital this year, according to CDC estimates, and in some instances, winding up more sick than when they arrived. These infections kill around 100,000 vulnerable patients and cost the healthcare industry $30 billion annually. To combat hyper-infectious agents like Clostridium difficile (C-diff) or Methicillin-resistant Staphylococcus aureus (MRSA), doctors are turning to a different method of disinfection to destroy bacteria by tearing their DNA apart with UV light. Known as Ultraviolet Germicidal Irradiation (UVGI), this new method employs light in the ultraviolet wavelength (400 nm and 10 nm—shorter than visible light, longer than X-rays). UV light is present in natural sunlight and, although the most damaging wavelengths (extreme UV from 10 nm to 120 nm and midrange UV from 280 nm to 315 nm) are filtered by our ozone layer before they penetrate the atmosphere (97 percent of UV overall), all wavelengths can alter molecular bonds and are capable of damaging biological tissue. The most common form of ionizing damage incurred by humans is sunburn, though UV rays will burn through a cornea if given the chance. Long term exposure to UV has also been linked to numerous forms of skin cancer. And if you think skin cancer is bad, you should see what the stuff does to bacteria. We've known since the late 19th century that UV light is a potent cellular mutagen—Niels Finsentook home the 1903 Nobel Prize for Medicine for using UV lights to treat lupus vulgaris—but it wasn't until the 1950s when researchers discovered how UV actually damaged cells. Turns out, two specific frequencies of 265 nm and 185 nm, do most of the damage, penetrating cellular walls and disrupting DNA replication (dimerizing adjacent pairs of thymine, specifically) which in turn prevents the cell from replicating or repairing itself, rendering it harmless if not outright dead. Many American utilities have also been using UV methods for water sterilization (both potable and wastewater) since 1916 and the practice has garnered EPA approval. In additon, you can now find UV disinfection systems in public utilities, A/C ducts, food processing plants, pharmaceutical facilities, and of course, hospitals and medical research facilities across the country. There are two primary means of producing UV light in these two frequencies—continuous mercury vapor UV lamps and pulse xenon UV. Eighty six percent of the light emitted by Mercury-vapor lamps shines at 254 nm, near one of the germicidal peaks, however these lamps are energy intensive and filled with a toxic gas. 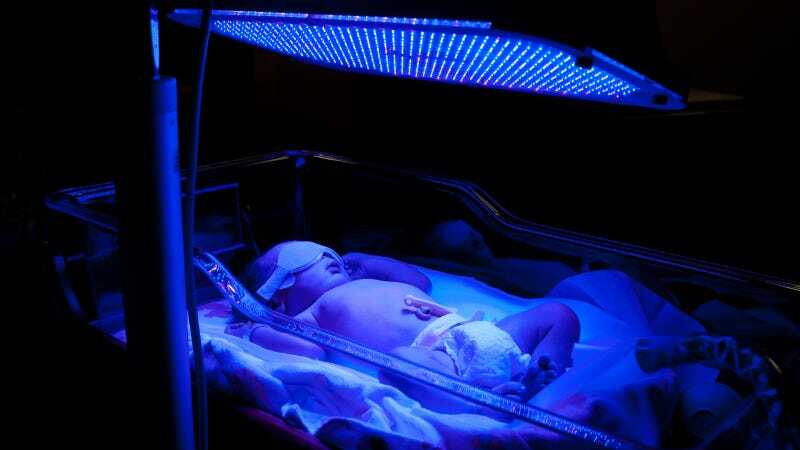 Xenon pulse lamps, flash a UV light much more energetic than what Mercury-vapor can produce, which reduces disinfection time, and utilize an intert gas instead. Regardeless of the system used, UV disinfectors only work where their light shines. As such, they require a clear line-of-sight unobstructed by shadows, dust, or fluids preferrably in a sealed environment, which allows cycling air currents to repeatedly pass under the lights. The duration of a bacteria's exposure is as paramount to the systems' effectiveness, whether its one long exposure or multiple brief ones, as is the organism's resistance to UV light. In hospitals, surgical instruments and operating theaters aren't the only vectors for disease transmission, patients are just as likely to pick up a secondary infection from something in the rcovery room. As such, many American hospitals are now focusing on ensuring "that all the nooks and crannies are clean, and that it's done in as perfect a manner as can be done," Dr. Marisa Montecalvo, a contagious diseases specialist at Westchester Medical Center, said. In addition to copious amounts of hand sanitizer and bleach washes, hospitals are now turning to devices like the UV emitter from Xenex Healthcare Services. “When we started, we were having to convince hospitals and infection control that the environment matters,” said Dr. Mark Stibich, Xenex's chief scientific officer, told the San Antonio Express News. “That is no longer the case. At least in the U.S., facilities are very aware how much the environment can impact risk for infections. So they're much more sensitive to the infections because they are directly impacting the bottom line of the hospitals.” This portable, $125,000 pulse xenon UV machine is reportedly "20 times more effective than standard chemical cleaning" and, according to one study at Cooley Dickinson Hospital in Northhampton, MA, reduced the rate of Clostridium difficile (C. diff) infection by a staggering 82 percent. At this point, UV disinfection remains a supplementary process to chemical cleaning methods, however, the market for these devices is growing and is expected to grow from $30 million to $80 million in the next three years.